Episode VI, Scene II of NTMTO! 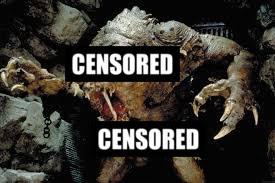 - "Unspeakable Rancor Activities"
The Despair Saga draws to a close with Episode VI - The Voice in the Abyss! It's chaos in the casino as catastrophe strikes - in the form or a rogue rancor. Things go from bad to worse to...unspeakably awful. You'll have to listen to find out.